If you want to extend your life as long as you can, you're in luck! We now have conclusive evidence that one of my favorite nutrients can help you do just that. The evidence comes from a study on animals, but there's ample reason to believe it will work for humans as well. In the study, researchers found conclusive evidence that resveratrol, found in red wine, peanuts, and berries, turns on the longevity gene SIRT1 in animal models. Plus they have figured out the molecular mechanism that drives this interaction. Over the last several years, researchers have been looking at sirtuins. These are a group of genes that protect many organisms, including mammals, from diseases associated with aging. SIRT1 is one of these sirtuins. And, it turns out that resveratrol activates this gene. When SIRT1 is active, it stimulates the mitochondria in our cells, which act something like a cell battery. But like any battery, it runs down with age. According to David Sinclair, Harvard Medical School professor of genetics, "There has never been a drug that binds to a protein to make it run faster in the way that resveratrol activates SIRT1." Sinclair and his team published a study back in 2006 that showed resveratrol could extend the lifespan of mice. Since then, the company Sirtris Pharmaceuticals, founded by HMS researchers, has been working to create drugs that are even stronger than resveratrol. However, even though many studies indicate a direct causal link between resveratrol and SIRT1, some scientists believed the studies were flawed. Their concern was that the studies used a specific chemical group attached to the targets of SIRT1. But this group is synthetic, and the studies didn't work without it. Some thought that resveratrol's activation of SIRT1 would happen only in an experiment, not in a natural situation. Others disagreed, claiming that resveratrol does in fact directly activate SIRT1. But they needed to prove it. Sinclair put together a team to figure out just how resveratrol works. They found that the synthetic chemical was mimicking molecules found naturally in the cell. When they repeated the experiments with natural molecules, the resveratrol worked just as well. Next they looked at how resveratrol presses the "accelerator" of SIRT1 and were able to identify that process successfully too. "This," says Sinclair, "was the killer experiment. There is no rational alternative explanation other than resveratrol directly activates SIRT1 in cells. Now that we know the exact location on SIRT1 where and how resveratrol works, we can engineer even better molecules that more precisely and effectively trigger the effects of resveratrol." Sinclair's statement makes two things clear: resveratrol works and they intend to make drugs to do the same thing. But don't wait on the drugs and their likely side effects. We know that foods containing resveratrol are great for your health. These include dark chocolate and red wine. But there's not enough in them to slow down the aging process. If your goal is to live longer and feel better, you need a strong, good quality supplement like Advanced Resveratrol Formula. Kelly Fitzgerald. (2013, March 9). 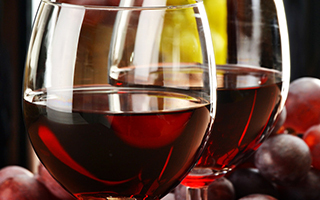 "Red Wine Pill Could Lead The Way For Anti-Aging Process." Medical News Today. Retrieved from http://www.medicalnewstoday.com/articles/257434.php.